Human Behavior, Foreknowledge and a Solution to the Predestination Controversy. Robert A. Herrmann, Ph.D. 11 JUL 2008. Revised 21 JAN 2016. One of the modes for GGU-model universe creation models a strict interpretation for the Genesis 1 scenario. The GGU-model also rationally models other theological concepts. In secular atheistic science, the universe simply exists. If one insists that something (i.e. primitive stuff) has produced our universe, then that something simply exists. The physical laws, the relations between primitive stuff, simply exist. No further explanations are necessary or even tolerated. God states that we should simply accept that "He exists." As He puts it, "I am." We are told that God is (a non-physical) invisible Spirit. Hence, by direct implication, we should simply accept that He is Spirit. In numerous places within the Bible, statements are made that imply that this Spirit has properties that we need to accept as existing. Then Biblical statements imply that these properties behave like, what we consider as, "thoughts." Under appropriate circumstances, God's behavior is that of a mind. However, this mental-like behavior is "higher than" the behavior of human thoughts. Our only actual guide to such behavior is how our thoughts behave. This is a viable method since God states specifically that we are "made in His image." In many cases, individuals do not follow these existence statements. Individuals have proposed other non-biblically stated properties for the God concept. Often these break the rules of common logic and lead to contractions. The GGU-model verifies, via predictions, Biblical statements. How do I interpret the words used in these statements? In general, I attempt to find their meanings as understood by the majority of individuals when they were first transcribed. Under no condition do I accept that certain words have hidden meanings that were known when first presented or anytime there after by only a chosen few. If this were the case, the Bible would be worthless as a guide for all of humanity from the time the Scriptural statements were first presented to this very moment. The Bible "plainly" states that God's concepts do not change. Once stated they are fixed in meaning. In order to follow the "subdue" and "rule over" directives, God has set up a correspondence between comprehensible physical law, the human mind, and general descriptions. He has not done this for any other known biological entity. Among other concepts, relative to the "time" notion, the GGU-model relates the "temporal," "non-temporal" and the "atemporal." "Temporal" is but another term for "observer-time." The "non-temporal" means that portion of primitive sequence (merely a sequence notion) that is not observer-time. The term "primitive sequence" has now replaced the original term "primitive-time." "Atemporal" means neither temporal nor non-temporal. God is not completely outside, so to speak, of the temporal and the non-temporal. He has created all aspects of these time notions. But, He is also atemporal. Such statements like "God exists" are atemporal. Statements such as God is "eternal," "for ever and ever," and the like are merely used in a comparative sense. No matter how we comprehend time, God is, in general, outside of the temporal and non-temporal in that He creates them in all of their manifestations. Unless medically prohibited from doing so, human beings can comprehend the temporal. An higher-intelligence can use an higher-language to describe the atemporal as being "rational," but we most likely cannot. The GGU-model applies the sequence notion relative to applications of operators and these are not related to any comprehensible time notion. It is rather difficult for individuals to comprehend the non-temporal and, especially, the atemporal in depth since, when we consider a sequence of events viewed externally as a step-by-step development, the fact that they are physical events tends to impress upon our view a sequence of "time periods." This comes from our ordinary everyday experiences. However, the temporal involves measurements of time, where the non-temporal might be conceptually understood as a type of time concept. This would not be the case for the atemporal. Many, many arguments used by atheists assign the temporal or non-temporal to God as if they correspond to the atemporal. This leads to logical contradictions or irresolvable collections of statements such as a logical regress. The regress has been known for thousands of years. It is obvious that God's view includes, at the least, these three "time" notions. One of the basic methods used in the world of philosophy is a form of logical argument called the "dialectic." I have not used any dialectic arguments during my investigations. I have used the common logic of everyday thought, the logical methods employed by physical science. It has been shown, in the paper Modeling the Dialectic, that relative to a human time-frame many dialectic arguments contradict scientific logic. Relative to God, what does the term "knowledge" mean? In all cases, knowledge refers to God's meaningful thoughts, thoughts that have meaning to God. The GGU-model aids in our comprehension of the will of God. It removes confusion that some individuals apparently intend to foster. The false idea is that one needs to accept "specially selected" individuals as having superior knowledge and accept their pronouncements as emanating from "secret" understandings to which they are only exposed. But, the usual and common meaning of this term "will of God" is that it indicates that something is a "decision" or a "choice." However, the GGU-model states that all of the material and immaterial has been pre-designed, in a mental sense. The material is not realized until God specifically "commands" (applies mental-like processes) and the material is physically produced. For our comprehension, He is, at present, "continually choosing" to do so. This is a way to comprehend His sustaining power. Aspects of the necessary participator universe are discussed below. Using that concept, God has pre-designed a vast number of "other universes." (These are NOT the parallel universes some cosmologies propose. If there are such parallel universes, then they form each universe within a cosmology as determined by the GGU-model processes.) Human "choice" leads to God's choosing to physically realize one of His pre-designed universes. Not only does human behavior lead to His realizing a specific pre-designed universe, but He can choose any one for His own desires. There are enough variations in His pre-designs for this to occur. Depending upon the circumstances, certain of these pre-designed universes are directly selected by God. Various choices of this form are classified as "miracle events." In general every physical event is the "will of God" since He has designed each of them. Generally this term seems to imply the additional notion that a specific pre-designed has been realized or the realized pre-design is of a special nature that need not be immediately comprehended by us. The Biblical concept of God's purposes is also a trivial GGU-model implication. A purpose, in this sense, is a "goal kept before the mind." Since all of creation can be comprehend, in general, as God changing His thoughts into various realities, it is a trivial implication that these thoughts are not random but God has goals in mind. He has pre-designed His creation in this way. Further, His purposes for creating all of reality are partially described in the Bible. Note that this is but a partial human understanding. Trivially, what He "chooses" serves His goals - His purposes, whether His choice is simply the continual sustaining of human choice or to yield His church or for other reasons we can not comprehend while in our present fallen form. Rather than use a word's Biblical meaning when first presented, some individuals attempt to justify their faulty models via inappropriate interpretations. One such attempt is when the Hebrew word spoken as tôb and having the very contextual and broad meaning of "good" is interpreted as having a moral meaning in the Genesis 1 scenario. When an individual has completed a drawing, design or many other physical acts you often hear the phrase mentally or otherwise,"That's really good." The individual is pleased with the results obtained. They have met the exact purpose for which the actions were preformed. This is what the phrase "It was good" means in Genesis 1. Or, as the Living Bible states it in each case, "God was pleased." It has no direct moral connotation to what has been created. It does in Genesis 2, where the tree of "knowledge of good and evil" is mentioned - knowledge that there are behavioral pathways God classifies morally as either good or evil, but not both. The Hebrew that is interpreted as "good" has many different connotations. In all cases, the correct one must be related to the context. For the GID-model interpretation, the pre-design notion needs logical justification and this fact is illustrated in  via the developmental paradigm. Pre-design encompasses the unrealized physical and physical-like worlds. Theologically, Genesis 2.6 states that there is "the knowledge of good and evil." Thus, technically, God has mentally conceived of all of the "good" and "evil" actions He will allow. Thus, there are behavioral statements and allowed behavior paths that are so morally classified "prior," in a sequential sense, to this Biblical statement being made. We are told in Genesis 3:22 that human beings chose to be accorded additional knowledge, knowledge they were originally denied. Thus, after the Fall, we have the difference between a collection of all of the pre-designed and unrealized life-paths for human behavior, having knowledge that such paths exist and, by choice, beginning a journey along a specific path. That is, each path can be physically realized via human participation. As noted, the realized life-paths are classified, via God's desires, as either "good" or "evil." And, for this model, this means that such behavior would need to be pre-designed especially from the "changing of thoughts into the physical" viewpoint. The fact that God will allow, if necessary, human beings to choose such paths and, hence, display their desires corresponds to His apparent desire not to "force" a choice. Thus, from the viewpoint of a higher-intelligence such a general idea can be classified as a "good" approach. Human thoughts, like any other physical-system, are pre-designed. Although not specifically aware of them, there are other human thoughts that constitute physical-like systems. In Matthew 5:27, Jesus corrects a wrong teaching. For human beings, there are two forms of good or evil thoughts. Choosing a good or evil thought does not constitute a good or evil action, respectively. Adding to one thoughts additional ones that imply the desire to act out, to preform the thoughts in objective reality is equivalent to the thoughts being physically realized, at the least, in the case mentioned and other implications of Jesus' statements as recorded in Matthew 5. God reminds us, that He is not a human being and, relative to the circumstances, he does not exhibit human behavior. By comparison, He is infinitely more intelligent than His created and, as has been demonstrated formally, He uses additional modes of thought that His created cannot use. For example, God's punishments are not evil actions. But, what humans consider as punishments can be classified as evil actions. In general, God's thoughts must be realized for some reality before they can be classified as exhibiting either good or evil behavior. As mentioned, Jesus informs us that one can have evil thoughts but, apparently, these are not considered as actual evil without the "intent to act." This holds whether one acts or not. We can be in the presence of extreme evil and, hence, mentally aware that the behavior, as defined by God, is sinful. But, we can have no desire to participate. If this were not the case, we could not follow the Bibles requirements to go into the world and present the saving words of the Gospel. Trivially, this and Acts 15:18 imply that God knows all of His works from the beginning of the world and has set these events in order throughout all of physical time, at least. Such foreknowledge statements are modeled basically by the GGU-model's notion of pre-design. These verses and others are used as a Biblical definition for foreknowledge. Foreknowledge is the most difficult aspect to model if one assumes that God makes such significant statements and they cannot be comprehended during Biblical times. Paul states that we can actually have little knowledge, but will know much more when we are in the presence of Jesus. Is this the case for repeated Biblical statements? I personally reject the notion that foreknowledge and other Biblical concepts have no actual meanings at the times they are first stated. I reject that any have some hidden meanings or simply have no comprehensible meaning at all. Consider the following philosopher's definitions. Omnipotence. God has all power, which includes complete power over all things. Omniscience. God has all knowledge (via His thoughts). Omnipresence. God is present everywhere. Or, God transcends space and time. By choosing what they claim these terms mean, atheists can easily argue that these concepts are contradictory. Moreover, some theologians, who champion a particular doctrine, attempt to use what they consider these statements to mean in attempts to counter other doctrines. Much of the misunderstanding comes from how such quantifiers as "all," "every," and "each" must be rationally understood in order to satisfy our formal and observable notions of what "fact" entails. The atheists trivial arguments that I have read use scientific logic as a counter, as do certain theologians. For example, "If God knew the future with infallible certainty, he cannot change it - in which case He cannot be omnipotent." The fact is that as these quantified "Omni" statements stand they have no scientific truth value. That is, you cannot specify that they are "true" in the ordinary (common) humanly comprehensible manner. As shown below, the error in the above type atheist statement is that "future" should be replaced with "futures." He does not change any of His pre-designed universes. The word "omnipotent" refers to "actions" that must vary over a specific set of actions. He does not "change" any "future." What this atheist claims as change is merely choice. The GGU-model is an exact model for each Biblical foreknowledge statements. Of fourteen Biblical statements that imply foreknowledge, eight contain an atemporal and temporal or sequential statement that refers to the material universe. There are no contradictions involved but rather such statements represent descriptions for different views using different languages. We are prone from our experiences to seek "mechanisms" as to how foreknowledge is possible. This is especially so when one considers the time or sequence notion or the cause and effect idea. There is a solution to this confusion in that the GGU-model predicts the existence of an higher-language, higher-intelligence and ultranatural events. An explanation of how this is possible uses the higher-language and ultranatural events, but not, as yet, having any higher-intelligence capabilites human beings cannot comprehend a statement such as "Here is how it is done. Take a Xyxyyxyyyyxyyxyyxyyxy and apply $%&**(&^^&*(*((*)*)(*_(. Now simply note that this yields HUIY*UJHKHUFDKJJL." As discussed below, no great problem occurs until human beings speculate upon other not Scripturally stated notions relative to foreknowledge. Again a problem occurs due to the temporal world in which we exist and the atemporal world. I emphasize that our experiences are with sequential behavior. Our knowledge of suspended animation comes from our experience with motion and its relation to time. But, for the GGU-model, suspended animation is actually repeated sequential elements. Throughout this and all of my articles a significant fact must be kept at mind. Since 1978, the complete GGU-model has been composed of a three-step process. Descriptions, via developmental paradigms (and corresponding developmental paradigm information), that directly correspond to thought processes, which then directly correspond to various realities. Recall that in order to have any comprehension of the non-temporal world and the idea that events occur, the pre-designed event sequence is employed. A process like a meaningfully described algorithm A is not predicted by the model, but is discovered via observation relative to the application of linguistics to observed physical behavior. Then *A is predicted. When entities or processes are discovered or predicted, a new language is developed to discuss their relations to other processes or entities. In the basic GGU-model construction, it has also been discovered that there is a correspondence between human mental processes that exist in the temporal "standard" world and a few sequential human-like processes. Probably, this is the reason why, for extended forms like *A, we can have some understanding as to how they function. The model shows over and over again that our comprehension of the workings of the atemporal world are very limited and that speculation needs to be constrained. Notice that, from a general description, God changes His thoughts into various realities. If there are no participator alterations, then foreknowledge is contained in God's thoughts sequentially prior to the realization of these realities whether physical or otherwise. That is, all of His thoughts exist "prior" to a sequential application of the final St realization operator. This is no problem to comprehend. Any further difficulties are eliminated by the participator universe model. For this application, what is significant is that, in practice, specific theological and Biblical terms are used for different concepts and, today, the contextual differences have not been clearly delineated. Relative to Biblical statements and a general theological term, one must know the actual contextual meaning. Things happening, developing, forming, the eternal, prior and the like are often used for the non-temporal part of theology and humans have no experience with associating such terms with the non-temporal. In what follows, the term "prior," if used, always refers to a non-temporal sequential event relative to the ordering of the sequence. The term "beyond," if used, always refers to a non-temporal sequential event relative to the ordering of the sequence. Terms like "before" and "past" refer to temporal observer-time notions and observer-time sequential events with identifiers less than a specific reference point in the sequence. Terms like "after" and "future" (often) refer to temporal observer-time notions and sequential events with identifiers greater than or equal to a specific reference point in the sequence. (Both of these last two concepts include non-oberver-time events "between" any two observer-time events.) The term "end" and "beginning" refer to a specific identified member of the primitive sequence. There can be endings or beginnings for different portions of the primitive sequence. There are, in the non-temporal world, descriptions for behaviors that are NOT sequential in character. When God refers to Himself, He does so in many ways. As mentioned, one non-sequential non-temporal way is when He states, "I am who I am. This is what you are to say to the Israelites: 'I AM has sent me to you.' " (Ex. 3:14. NIV) This is considered as an "existence" statement. He is the "one who exists," the One with describable properties, properties that can relate this One to that which He has created, both the temporal and non-temporal, sequential and non-sequential. Although based upon sequences, ultimate properties like He is "infinitely" intelligent, "infinitely" wise, and all the other higher forms of such behavior, are not the "end" of a sequence of some sort. By rational implication, it has been shown that these terms should be generic in character. That is, the term carries the idea that the word it qualifies is "unbounded" or "unlimited" in scope. Considering a view from the meta-world, if possible, should lead to a better understanding of how foreknowledge and predestination are related if you trust in my ability to translate the mathematics into, at least, somewhat comprehensible notions and when I state that we can have no direct comprehension when a particular viewpoint is considered. My observations are all based upon scientific reasoning and the types of mathematical languages used. Of course, these results need not be considered as proofs as to the workings of various realities, they only show that the predicted statements are rationally obtained. The GGU-model schemes also use instruction paradigms as "representations" for universes and their development. Aristotle equates the temporal with the concept of motion. The notion of suspended animation leads to a motionless entity and, for that entity, "time stands still." But, motion is relative and suspended animation is relative to something that does not carry this property, something that has motion. It is a comparative concept. Without this fact, neither the word nor concept has meaning. The modern DVD can display, in a sequence, many fixed images of a group of people. Nothing in the images will give the appearance of motion. But, each is displayed during a moment in a time sequence. This is an example that measurable "time" is relative to your "view." From the viewpoint of the DVD people, "time" is suspended. But the DVD process-time has not been suspended. It presents a fixed image at each moment during a temporal sequence. A way one can comprehended, even a little, the non-temporal is to compare it to our temporal experiences. But, there can be many aspects of the non-temporal that are not so comparable and some find this difficult to accept. The GGU-model satisfies the "lack of knowledge" concept in various ways due to the predicted existence of ultranatural events, ultranatural laws, an higher-language and even ultranatural universes. Only an higher-intelligence can have any in-depth comprehension of such matters. Importantly, although it seems difficult not to associate observer-time with the sequence notion, this is a basic way one can slightly comprehend the meanings of "temporal" terms within a non-temporal world. It is from the meta-world that one can analyze relations between temporal-like behavior that are not related to observer-time (our notion of the temporal). Originally, I suppose that I should not have called various sequences "primitive-time." I did this since portions are temporal and portions are non-temporal. Before continuing, I remove one of the foremost arguments against the "omni" statements and my forthcoming life-path deductions. The strongest Biblical verse employed is "For I am the LORD, I change not . . . ." (Malachi 3:6. KJV.) The following is a rational GGU-model prediction. The thoughts of God that yield various realities do not change. They are fixed. However, among these thoughts are trillions upon trillions upon trillions of pre-designed potenial actions that are classified as changes in behavior for created entities or processes at a particular moment during a "time-dependent" activity. From our comprehension, this is necessary in order to have even limited choice. Recall that God is an infinite intelligence that our finite minds can obey but further comprehension might not be possible. Obviously, under various circumstances, and at a specific moment or portion of a primitive sequence, God directly makes, from His pre-designs, specific choices sequentially prior to realization. Although, in general, what comes next is rather complex when one considers all individuals who exist in the past, present or future, concentration upon one individual is an aid in comprehension. Human behavior is not measured merely at a spatial point. Possible life-paths are an automatic result of how the GGU-model is constructed. Behavior is relative to the environment about a spatial point. This is often called a "local region," or neighborhood. One must have the capacity, the appropriate knowledge and opportunity to choose mentally and then to perform physical behave. Of course, the term "knowledge" implies that one comprehends. If not rather automatic, then one may also acquire knowledge as to what constitutes differences in behavior. This is significant for what some call the problem of "sin." God is not the actual "producer" of sinful behavior, but rather, after the Fall, mankind is accorded this new found knowledge, knowledge that God has. Necessarily, all of the participator pre-designed universes that correspond to all allowed aspects of human behavior exist covirtually. But, such pre-designs do not carry any moral repercussions unless they are realized as part of an individual's life-path. Further, relative to such thoughts, influences to which we are exposed attempt to manipulate our lives in various ways such as changing our thoughts into actions. During a life-time, we are, at the very least, influenced by exterior factors. Throughout history, these may only be those supplied by our pure physical environment, the physical laws and constraints. Then the Bible itself is a type of exterior influence. The Holy Spirit and Unholy Spirit are, today, mainly internal influences emanating from the external world. From the life-path viewpoint, collections of life-paths are pre-designed in order to lead to the same purposeful outcomes. For my Biblical stance that requires Biblical terms to have strict meanings, when not used in poetry or metaphorically, I dropped the "can" from the first sentence in this paragraph. I accept that collections of life-paths do converge to the same necessary outcomes. The same outcomes vary in observer time. Jesus attests to this in Matthew 24:36. When certain events occur depends upon human choice. But since aspects of human choice are not absolute in character, such future events as mentioned by Jesus will occur. Consider Joe's life-path. He is at *Û(10,26). Under the participator universe general viewpoint, Joe has a thought, either influenced or not, and makes an additional physical choice. The thought or his choice either does or does not activate a different universe. Joe's life-path is realized in a participator universe in *Î(16789) at *Û(16789,27). That is, the non-participator view is that Joe is at *Û(10,27). However, Joe's choice jumps him to another participator position at *Û(16789,27). Due to how the GGU-model is constructed, at observer-time 26 every entity throughout the entire universe that can do so can also make a behavioral choice. And they all are realized in the same *Û(16789), but, with certain exceptions such as before birth, at different neighborhoods. Thus, unless no human action alters physical behavior and the universe remains *Û(10), the one that comes into play at moment 27 is a new universe distinct from the one that exists at moment 26. Of significance is that the pre-design of these universes as described in  shows that the universe *Û(16789) is one that contains, from the viewpoint of "past" primitive sequence, all of the past behavioral alterations. The particular universe in which we are contained at this moment, due to other possible covirtual ones, can only be known if viewed from the meta-world and not from the standard world. Again note that the model specifically states that in almost all cases, even from the meta-world, we can have no detailed knowledge as to how certain processes function. But, the higher-language is predicted to exist that can describe such processes. Now consider the sequence of observer-time choices Joe continues to make. This life-path, in a Cartesian graph, can be represented by a sequence of neighborhoods that form a behavior-tube and this represents Joe's life-path. Since creation of the physical universe is modeled by he GGU-model, then Joe's and all the other human beings life-paths, paths that they are allowed to follow, are also pre-designed in the meta-world. That is, God has considered all of His allowed possibilities prior to physical realization. From our viewpoint, this is a rather difficult thing to do. From the world of an higher-intelligence, it is rather trivial to do. It is the behavior of human beings that determine the future behavior of portions of our universe according to the participator universe model. But, does this mathematical model actually satisfy the appropriate Biblical statements? The life-paths and choices are represented below by two line segment drawings. The first is a completed atemporal view that is, at least, for unrealized universes. The second one is a realized sequential view. They are marked "S" for a "saving choice," "N" for a "non-saving choice," "AS" for "all possible forthcoming choices are saving choices," "AN" for "no possible choice can be a saving choice," and "?" means "choice is known." The symbols SG mean the "saved group," and the symbols USG mean the "unsaved group." Does the saved group only correspond to those who will eventually occupy the New Jerusalem? Everyone starts their life-path at the 1 point in a particular universe. Of course, each individual can have billions and billions of life-path line segments. Just a few are presented here for a few universes. This illustrates foreknowledge as to the life-paths that do or do not lead to salvation. (I will discuss shortly what Biblical described "salvation" signifies.) A different universe that results from a participators choice is indicated by a change in the "straight line" pattern. For each universe, each person has a vast number of possible choices. These diagrams only represent a few possibilities. Indeed, each individual who has ever lived, is living and who will live actually has billions of pre-designed life-paths. One should consider this diagram of life-paths as but a prototype that represents collections of many different life-paths. Notice that in (I), there are eight N in USG and but three S in the SG. If any individual's life-path ends at particular point, then they are either saved or not. But, we don't know whether anyone dies in this condition. Nowhere in the Bible can I find an indication that "if and only if" such and such occurs is an individual "saved." The Bible even indicates that the notion of "salvation" has various degrees. 1 Cor. 5:5 states that even one who is being led by Satan can have his "spirit" saved. I think that it is clear that a "saved" individual will not end up in the "fiery pit." It states that "If" such and such occures, then you are saved to a specific degree. There is one type of life-path, the AN path, where an individual will, after a moment during their life, have no other saving choice. One of the ? also has the possibility that there are only saving choices presented to an individual. The AS means "always saved." S, N, S, ?, . . . . S, N, S, ?, or AS, . . . . S, S, S, N, ?, . . . . I mention again that from the construction of the GGU-model and participator universes, each of these life-paths is pre-designed since, from physical considerations, only certain behavior is allowed. The life-path model is the most important aspect of the GGU-model relative to it modeling each of the Biblical foreknowledge statements since each statement is relative to the physical universe. Various life-paths lead to salvation and others do not. Some might simply call the set SG "The Church." Since physically human beings cannot view their own life-paths from God's world, unless specifically "told" by God, they can have no "direct" and absolute knowledge that they are traveling the salvation life-path. Again notice that each of these life-paths is pre-designed in the sense that the combined universes satisfy the salvation requirements. Further, this GGU-model predicted diagram does illustrate the idea that God's view is similar to His viewing a map in its entirety while each of us only has a view from our behavior-tubes. The Bible states that if Eve preforms an act, then she is told "you will be like God, knowing good and evil." (Genesis 3:5. NIV.) In this case the, "good" and "evil" are totally behavioral in character. Further, these behaviors are all within God's mind. But, they are, in general, not realized in the physical world. This tells us that, in God's mind, are all of the pre-designed life-paths each human is allowed to traverse. For Joe and each of us, there are trillions of these. Remarkably, they interact in numerous many ways in order to accommodate the physical interactions each life-path is allowed with each other collection of life-paths. Further, they can also include all the other non-physical influences that God allows. Thus, there are trillions and trillions, etc. of these pre-designed life-paths available. At this stage, this model gives but a slight indication of God's infinite intelligence and power. Often we do not acknowledge that we know very little about how God actually produces the physical world. But, we do have models that, at the least, give a rational basis for His actions. All life-paths lead to specific Biblical conclusions and many correspond to each individual. After an individual dies or maybe is translated, then that individual has acquired only one physical life-path that describes the individual's entire physical existence. It's the participator universe processes that yield, at each moment, physical realization. Certain life-paths can carry a Biblical "name." For example, a set entitled "appointed as a prophet." Thus, Biblically, an individual who satisfies the requirements for such a life-path can carry the Hebrew "Jeremiah," which has this meaning. Other, but of course not all, Biblical names follow this same pattern. The name is chosen so as to conform to some aspect of the individual's entire realized life-path. Further, do we actually know when the individual acquired the name? Thus far, the model predicts that God has foreknowledge of all possible life-paths since He has "mentally" pre-designed all of the life-paths He allows. Is this a complete solution to the foreknowledge "problem"? This "foreknowledge" problem would be solved if we could describe the relation between the unrealized life-paths and the realized ones. It is clear to me that the exact understanding of statements such as Isaiah 44:7 and Daniel 2:29 is that God does know the realized future events not just those He has pre-designed. He has absolute foreknowledge. God has pre-designed all allowed human "futures." But, a major problem remains if one assumes He also "knows" the actual and complete realizations prior to them occuring in observer-time. This, of course, depends upon how one interprets, if at all, Isaiah 44:7 and Daniel 2:29. Rather than simply accepting the obvious fact that from the language used there is no contradiction in the notions of pre-designed foreknowledge and absolute foreknowledge, theologians try more refined descriptions for this last aspect of the concept. Are these attempts due to human pride? They seek a humanly comprehensible mechanism for absolute foreknowledge. One important fact is that the GGU-model was not originally constructed to solve such problems. So, any GGU-model solution is not a "forced" attempt on my part to present some sort of extreme variance to presently accepted doctrine. The basic complete misunderstanding is the Biblically unfounded notion that a Divine atemporal thought corresponds to the actual temporal or non-temporal event. For we know in part and we prophesy in part . . . . Now we see but a poor reflection, then we shall see face to face. Now I know in part, then I shall know fully . . . . (1 Cor. 13:9 - 12. NIV). It has been shown in this paper that the GGU-model cannot model all implied Biblical statements. But, that a one-step faith statement can be rationally accepted since it does not contradict any aspect of the GGU-model. The same approach can hold here for absolute foreknowledge. Its acceptance would be based upon the metalogic implications used to discuss the meta-world. I repeat that the GGU-model predicts that an absolute foreknowledge mechanism can be specifically expressed via the predicted higher-language but logical comprehension also requires an higher-intelligence. The following may be a suprise to many, but with respect to our intuitive concept of "truth" a significance result is established in . There Robinson characterizes, for a formal language that is a subset of our language L, descriptions that carry the "fact" or "truth" concept relative to how, with common logic, we combine such statements. Using a "Skolem" function characteristic for a basic intuitive notion, he shows that for a certain class of expressions for the higher-language *L that there is a another notion of "truth" displayed. This is called "external" truth. In the meta-world, there are thus two types of "truth" that display themselves, the common intuitive notion of "truth" as used to analyze all of this, the standard one we use, and yet a higher-form distinct from this. "The sentence a holds in (the model) according to the internal (our basic intuitive) truth definition and sentences b and c do not hold in (the model) according to that (our basic intuitive) definition. The sentences a and c hold in (the model) according to the external definition and sentence b does not hold according to that (external) definition" . So, we have in the meta-world, the substratum world from which all the behavior is being analyzed, that there is a sentence a that holds (is true in that it satisfies a specific requirement) in both the common and external cases. But, we have a sentence c that does not hold (is false) relative to our intuitive notion, but is true relative to the external definition of truth. It appears that if we could, at present, have any knowledge as to what the c means, then we would not intuitively accept it as fact although it is true using external truth. This can be interpreted as stating, more strongly than before, that God's method of determining what is true and what is not doesn't completely correspond to ours in selected cases. I repeat my GGU-model's stance on absolute foreknowledge. Any mechanisms that God uses to achieve absolutely foreknowledge, if describable, would be described in a higher-language (*L - L) as it relates to a higher-intelligence. Since the languages are distinct, any contradiction is eliminated. (ii) " . . . 'The secrete of the kingdom of God has been given to you. But to those on the outside everything is said in parables . . . .' " (Mark 4:11. NIV). The concepts of choice, predestinate and elect, when modeled, use a meta-language for the meta-world and discuss relations between the temporal and the non-temporal in very direct ways. Historical investigation shows that the original, often simple, basis for various theological notions have, over many years, been refined using special terms in such a manner that the actual basis is hidden. However, the original foundation still remains. The refinements do not contradict the foundations. Many such concepts are pure speculation without direct Scriptural support relative to the meanings of the Scriptural terms as known when a specific portion of the Bible was first transcribed. By various techniques, the original Scriptural concepts as understood by the scribes and the general public at the time transcribed are sometimes altered by claimed revelation or other means. There are, at least, four "explanations" as to what thirteen or even more Biblical verses mean relative to these three terms. It is these speculations that are included within the doctrine of various competing organizations. These doctrinal variations are all related to the life-path notion, choice and foreknowledge. It is only necessary to present a few of these variations. I will not give a name to each basic form. But, in each case, it is assumed that God, via absolute foreknowledge, knows the actual life-path each individual takes. He "knows" all completed S-N patterns. He therefore knows what an individual's final life-path destination is. He "knows" which life-paths lead to salvation or not. His atemporal view includes all of the choices not listed above for (II). Atemporally knowing an individual's complete like-path neither implies that external entities nor internal entities, such as immaterial spirit entities, have not influenced an individuals choice. As pointed out, choices that are not rather automatic are usually influenced by various means. (*) Identifying a complete life-path as that of a specific individual does not directly imply that it was so identified when orignially pre-designed. The following four possibilities assume that no individual knows with certainty that he or she is a member of SG. Please note that Biblical verses that imply that we should make a choice, if read, are actually influencing that choice. The life-paths of Adam, Eve and Jesus are not described by any of the following four statements. (1) (A) A salvation type of life-path is not related to specifically named individuals as they are associated with specific biological parents. (B) Relative to physical bounds as well as exterior or internal influences, as Biblically illustrated, individuals have choices. (C) If an individual's life-path is among the salvation paths, then that individual is saved. (D) All the other life-paths lead to damnation. If or how the Holy Spirit aids the individual is for further investigation. (2) (A) A salvation life-path is not related to specifically named individuals as they are associated with specific biological parents. (B) Relative to physical bounds as well as exterior or internal influences, as Biblically illustrated, individuals have choices. (C) If an individual's life-path is among the salvation paths, then that individual is saved. (E) Where the other life-paths lead is unknown by us. If or how the Holy Spirit aids the individual is for further investigation. (3) (F) Salvation life-paths are related to specifically named individuals, individuals specifically associated with their biological parents. (B) Relative to physical bounds as well as exterior or internal influences, as Biblically illustrated, individuals have choices. (G) The choices an individual makes do not alter this salvation designation. (H) Individuals are, hence, specifically predestined for salvation or damnation. If or how the Holy Spirit aids the individual is for further investigation. (4) (F) Salvation life-paths are related to specifically named individuals, individuals specifically associated with their biological parents. (B) Relative to physical bounds as well as exterior or internal influences, as Biblically illustrated, individuals have choices. (G) The choices an individual makes do not alter this salvation designation. (H) Individuals are hence specifically predestined for salvation. (I) Where the other life-paths lead is unknown by us. If or how the Holy Spirit aids the individual is for further investigation. Taking note of (*) above, from the absolute foreknowledge viewpoint, God knows, relative to it being completely realized, what are the atemporal life-paths prior to individual choices. That this satisfies statements such as "I make known the end from the beginning, from ancient times, what is to come." (Isa. 46:10, NIV) The Bible implies that He also "knows" each life-path that "will" temporally occur. The GGU-model and the above aspects for various sets of life-paths rationally solves the absolute foreknowledge problem, if there actually is a problem, via the higher-language, higher-intelligence and a rational faith step. He certainly can identify each individual who has traversed these complete life-paths under this additional faith statement. I consider Biblical statements relative to foreknowledge and predestination as having the strict meaning of the terms when the concept is first presented. But, do statements such as (i) - (vii) refer to life-paths, in general, or pre-designed life-paths for specifically indentified individuals? The above four statements indicate that their are different interpretations of such Biblical verses and these are held by individuals who have arguements for their views. However, the proper source for an individual to determine the exact meanings is 1 John 2:27 and not a theologican. Further, there is 1 Cor. 15:1-2 (quoted below) and whether a choice of a (1) - (4) description influences the Biblically stated procedures an individual should follow. Recall that the GGU-model was not originally constructed to solve such problems. So, the life-path notion is not a "forced" attempt on my part to present some sort of extreme variance to presently accepted doctrine. For (1) (A) and (2) (A) life-paths are neither temporally nor sequentially related to specifically named individuals, individuals specifically associated with their biological parents. God has pre-designed and, hence, has foreknowledge of the collections of salvation life-paths prior to any being physically realized. In reality, any other speculation is of no significance. All outcomes of the completed paths are members of two disjoint sets USG, SG. For (1), USG is not partitioned into any other subsets. Each member of USG heads for damnation. For (2), what awaits members of the USG is unknown. For (3) and (4), each individual, prior to birth and specifically associated with biological parents, is assigned to a life-path that ends as a member of SG or USG. God has pre-designed and, hence, has foreknowledge of the collections of salvation life-paths prior to any being physically realized. All outcomes of the completed paths are members of two disjoint sets USG, SG. As with (1) and (2). USG may or may not be partitioned. Now these four possibilities are mutually contradictory, but not in the mathematical predictions. There are two forms of "contradictions" within the mathematical sciences. One is a "formal" contradiction that might occur within the mathematics itself. For this to occur for the common logic used, there needs to appear two strings of symbols that are equivalent to the statement that "A & (not)A." One can think of the & has having the common meaning of the conjuction "and." The other contradiction occurs not within the mathematics, but rather within a meaningful interpretation of the symbols. Thus it is the informal notion of "and" and two distinct meanings assigned to the symbols that leads to an informal " A and not A" statement where the "A" has two distinct interpretations. For example, in one (informal) model the symbol "A" can be interpreted as the word "black." This is an hypothesis. In another model, it can be interpreted as the word "white." Under the assumption that "black is not white," if the two models are combined, one would have from the interpreted models, that you have an hypothesis A, as well as an hypothesis not A. Within common logic one can always add to any argument certain specific strings of symbols. One of these is the statement "If A, then if not A, then B," where B can be any member of your simple propositional language. So, applying the standard law of inference, as now termed "rule of detachment," you take A, and this rule yields "if not A, then B." One more application, you get from the hypothesis not A, the statement B. However, B can be "any" statement, say "A and not A." This example serves two purposes. It shows that using the combined models one can deduce any member of your simple language and it shows that you get a formal contradiction. Using simple logic, you can, in general, deduce from "A and B," the "A" and the "B." Hence, a formal contradiction yields the required A and not A used above. BUT, this is only relative to the two interpretations. The statements above are contradictory relative to meta-language additions that are necessitated by the interpretations. These contradictory interpretations are either specifying or not specifying the USG, or either associating, in the sense of a pre-design, each specific individual to a life-path that leads to the SG or USG, or not making such an association. The following was discovered after the above predicted illustration. What does the actually basic Greek term "proorizo" translated as "predesignate, predetermine" actual mean? This is a combination of "[h] orizo" (specify, designate), which means "make clearly visible in the mind" and prefix "pro," which means "before" (hand) or for the atemporal case our "prior" to realization. The GGU-model universes are pre-designed. All of the allowed life-paths are essentially predicted by the pre-designed universes. Hence, the atemporal (I) view is predicted by the GGU-model. Notice that, in (I), designating life-paths as leading to the SG or USG, prior to realization, is "making it clearly visible in the mind" how human behavior leads to the two outcomes. Does this disclosure aid in making a choice? Considerable work was and still is being done to Biblically justify each of the (1), . . . ,(4) descriptions. Much of this Biblical justification is clouded by somewhat vague theological language. Much justification does not use the well known fact that the New Testament is written in the language of ordinary people and does not contain a special "code" language, where the actual meanings can only be know by a "chosen" few. Further, as stated, each of these four possibilities rationally contradicts each of the others. Each of these is suppose to be supported by the Holy Spirit - the Spirit of Truth. But, relative to basic human comprehension as to what "truth" signifies since each of these contradict the other three, then only one can be true while the others are false. Of course, each could also be false. Thus, only one or none of these four descriptions is true. Claiming Holy Ghost verification for any two of the (1) - (4) statements contradicts the concept of the Spirit of Truth as we commonly understand the concept of "truth." Recall that the above atemporal life-path diagram is actually composed of an enormous number of different intertwined possibilities. Each possible life-path coordinates with any other influencing life-path. Specific life-path influences are not merely the ones produced by other life-paths and the allowed physical laws, but they include all of the allowed Holy Spirit and Adversary influences. These possibilities can lead to various "degress" of salvation, if there is more than one degree. Each of these life-paths is predestined to end in one and only one outcome. Each is pre-designed. Each individual, can have many different roads to the salvation outcome as well as the other "not saved" condition. Consider a map and two cities one on a high-hill, the city S, and one in a dark-valley, the city NS. Just look at the vast number of interlaced roads that lead to either of these two locations. As indicated, the notion of "us," "we" and other Biblical intentions within each quoted statement that employs a "predestination" notion need not refer to a specific individual or even a member of a specific group. It need only refer to pre-designed life-paths or roads. The many unnecessary speculations on the notions of "foreknowledge" and "predestination" can be avoided. I accept no Church doctrine that is not explicitly stated in the Bible. This means that I accept no other Church doctrine stated by any means after the death of Apostle John. Paul verifies this stance. "Brothers, I want to remind you of the gospel I preached to you, the gospel that you received and in which you are firmly established; because the gospel will save you only if you keep believing exactly what I preached to you - believing anything else will not lead to anything." 1 Corinthians 15: 1-2 (Jerusalem Bible). ((v.2) "It was that alone by which they could hope for salvation." Matthew Henry.) This verse immediately implies that one also needs to believe all of the doctrine expressed by the Apostles. The Greek concept of "believing" implies to "obey." Thus, this rationally implies that one should obey Jesus and the Apostles. Further, we are told that the believers "continued steadfastly in the Apostles doctrine." Acts 2:42. And Paul specifically states "teach no other doctrine." 1 Tim. 1:3. Once I was satisfied that I had established the authority of Jesus, I decided to follow the explicit circumstantial requirements and procedures stated by Jesus, Paul and the other Apostles. I repeat that I accept no other distinct church doctrine. The meanings of the terms used in the corresponding Biblical statements are those understood by the majority of the individuals at the time they were first presented. Hence, other church doctrine, unless it contradicts these teaching, is, for me, of no significance. If any church doctrine contradicts the explicit teachings or procedures as stated by either Jesus or the Apostles, then, I believe, that it must be rejected. To be of any significance at all, any other doctrine needs to enhance the teachings of Jesus, Paul or the Apostles. I repeat that the GGU-model predicts the existence of the hyper-language *L that contains our comprehensible language as represented by L. Further, this hyper-language is associated with an higher-intelligence. There is a vast amount of such language elements that we cannot comprehend. Many individuals have observed that the Biblical God behaves more like a mind than anything we know. Indeed, C.S. Lewis states this about our universe. From what has been explained, it should be self-evident that every aspect of the GGU-model not already discussed in terms of mental-like processes can be so described. Hence, we have a model describable in terms of modes of thought. Aspects of this model correspond to my mental activities. A solution to the "predestination" controversy. Via the actual Greek understanding of the word translated "predestinate," each of the Biblical statements that in any manner corresponds to this concept only refers to a more refined description for the pre-designed life-paths. One can follow Paul's salvation statement at a particular moment in a life-path. However, circumstances and external and internal mental influences often lead to alterations in ones beliefs. Then an individual returns to their original acceptance at a later date. This necessitates the pre-design of numerously many very distinct life-paths that accommodate such alterations and that still lead to the salvation group. Thus, the life-path descriptions need to incorporate refined details that will eventually yield this desired result. You can substitute the general concept of these specially designed life-paths into each of the Biblical statements and they remain rationally meaningful. (Notice, in particular, Ephesians 2:10.) Thus, the concept corresponds most readily to (1) or (2). Coupling this with statements made in Revelations, I accept that the concept corresponds to (2) (A). Although not originally considered, there is now another application of these previous procedures to God's more general thoughts. As far as the Jesus manifestations of Godhead attributes are concerned and in order to have comprehension, the production of such manifestations is modeled via mental processes. God creates by transforming His thoughts into physical and other realities while retaining the original thoughts. For God, the Greek "logos" means a complete logical expression of His thoughts. In this case, the complete mentally conceived Jesus concept, the entire account - the logos - exists and does not cease to exist, from our comprehension, before, during and after the thoughts are manifested. For this application, God's thoughts exist, in a sequence sense, prior to being manifested as physical, preternatural and supernatural entities. This "logos" mode of expression is related to what is both the physically and supernaturally perceived Jesus and various related events. Such a complete logical expression is a rational concept since it has a mathematical model. Using previous concepts and notation, the model is written as *A(Λ''(λ)). It has the exact form as the logical mental-like process God uses to create both physical and physical-like events. The Λ''(λ) contains the exact expression in a special form, while the hyper-algorithm *A displays the step-by-step hyper-mental process that implies that an higher-intelligence conceives this logos. The pre-design and development of our universe via GGU-model processes is related to this logos. Modern atheistic science is based upon "reductionism." The development of the universe depends upon accepted fundamental entities that simply "exist." How these entities behave simply exists. That is, physical laws simply exist. No further investigations are allowed "below" this level of existence. If you do make such investigations, then you are ignored and often called "crazy" for rejecting "what everyone knows 'can't be true.' "
Nowhere in the Bible is it implied that "God created everything." Indeed, the sentence has no logical meaning. If you assume that "everything" is not to be restricted to say the "heavens and earth," then this leads to a logical regress, an unlimited mode of thinking from which one can't escape. It must be true; the intelligential ability of human beings is devolving. God tells us that He is not created. And to differentiate Him from others, this means His attributes are not created. God states that to properly understand who He is, one must simply state that "He exists." (As he says "I am.") Hence, His attributes exist and nothing more needs to be stated. A term such an "everything," in order to carry "true" concept, must be limited in scope. Thus, for the theological GGU-model and specific-information , there simply exists stuff that we comprehend as a "general medium" that upholds God's meaningful thoughts. As with God Himself, this general medium need not be created; it and its properties can simply exist. This also is a form of reductionism with God, the foundation, as He is expressed in terms of "thoughts." That is, it is a model for behavior we probably cannot otherwise comprehend. [Note: As with the DVD approach to the participator universe, what I detail here applies to the *developmental paradigm that corresponds to an *instruction paradigm.] Recall that, for the theological interpretation, the complete GGU-model has now been correlated to distinct views. Rules for combining symbol-strings correspond to how the thoughts, which correspond to these symbol-strings, behave and this behavior predicts how the thoughts of a higher-intelligence behave. Since a lack of knowledge alterative exists, GGU-model processes are considered as an analogue model, in that the substratum entities and processes are only indirectly verifiable. This is not to say that they could not exist as described. This means that we have no "scientific" way to differentiate between the alternative and the predicted substratum entities. What predictive analogue models do is to present descriptions that predict observable behavior. If scientific (i.e. classical) logic is used for such predictions, then, at the very least, this implies that such behavior is scientifically rational in character. In this section, using a modern electronic device, a very materialistic analogue model is described for absolute foreknowledge. A "Solid State Hard Drive" (SSHD) is to be employed. To do so, each pre-designed universes is a type of "segment" within this device. Each universe-wide frozen-frame (UWFF) in a segment is digitized and, via computer hardware, will energize the pixels of a 3-D High-Definition monitor. Each UWFF takes up a miniscule portion of a sement of the SSHD. Each UWFF, of course, has a SSHD location identifier. If it were not for modern research, then to describe how the UWFFs are combined via human choices would be difficult. There is one aspect of the human condition I have not detailed since it cannot be completely described using a comprehensible language. It corresponds to a selection process that originates exterior to the SSHD. It is a major aspect of the created human spirit. It is described for physical actions, in a general way, by Eccles and Robinson. It is the notion of "mental intentions." This is a process that precedes the actual actions that correspond to the physical realization of a specific choice. It is the actual "choosing to act" step. For Eccles and Robinson, there is an immaterial medium that relates to the "mental intention to act in a physical manner," where this medium connects the mind to the physical brain. This connection is via a back-and-forth process involving different types of thoughts, the immaterial ones and a specific physical brain activity that forms our concrete thoughts. "How does the proposed interaction of mind and brain relate to the "free will" problem? The answer is that, despite the so-called insuperable difficulty of having a non-material mind act on a material brain, it has been demonstrated to occur by a mental intention in just the manner predicted by dualist-interactalism - no doubt to the great discomfiture of all materialists and physicalists" [12, p. 163]. The dualist-interactalism hypothesis is described by Eccles and Robinson and it predicts certain behavior [12, p. 35 and on]. The Eccles and Robinson research entails physical actions. I have generalized this "mental intention act" to include the "mental intention to gain knowledge." That is to have "concrete thoughts - thoughts of which we are completely aware." Concrete thoughts are those produced by electro-chemical actions within the brain. For the SSHD, this interaction flows from a source external to the SSHD. It is a product of the external "spirit" aspect of the human being, an aspect that cannot be described in detail by any of our languages, but has a description using a higher-language. Concrete human thoughts are, necessarily, pre-designed since they correspond to physically realized brain activity. Via mental intentions and our spirit, we "choose" a concrete thought. Mechanisms for this are apparently not describable via meaningful statements taken from the standard general language L. Here are three types of "choices" that are of significance. (1) One chooses to act physically. This does not mean such actions can be accomplished. (2) One chooses to accept a thought as fact or not. (3) One chooses to ignore a thought to which (1) or (2) apply. When such a mental intention is formed, it is this intention via the medium, that informs the SSHD which segment corresponds to the fulfillment of this intention and the exact location of the "next" fulfilling universe-wide frozen-frame contained in a segment. This includes our concrete thoughts. This, of course, is but another illustration of how one can conceive of the participator universe model. Each segment of the SSHD corresponds to the DVDs pervious used to illustrate this approach, the covirtual universes . In  and elsewhere, DVDs and hyper-fast propertons are used as an analogue model for the participator universe and the necessary selections of universe-wide frozen-frames. These predicted entities are still of significance. That is, from a secular viewpoint, mental intentions trigger the selection process. This is similar to billions of mental intension being "typed in" at computer terminals. The computer, with its infinite power, combines these, along with other unknown parameters, and yields a detailed screen image that represents a specific UWFF. Due to the necessity for a vast number of intentions to be rather simultaneously presented, it is the predicted non-physical hyper-fast propertons that convey the appropriate information that allows for a type of "instantaneous" selection of the proper UWFF. In all details, the SSHD descriptions behave like a model for these aspects of God's behavior. Hence, it IS a model. It is one of the ways that gives us a rational description for notions we cannot other otherwise comprehend. Formally, the different life-paths that tranverse the numerously many pre-designed universes can be viewed via "ultra-logic-systems." This leads to these life-paths themselves being intelligently designed and rationally produced by a higher-intelligence. Further, additional aspects of the interlacing aspects can be modeled mathematically via "graph theory" as embedded into the nonstandard structure. I leave any such modeling to others. Finite portions of the participator model developmental paradims have been shown to form a meet semi-lattice with lower unit. 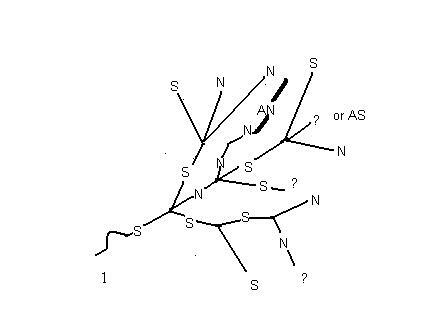 Left-paths form a subset of these. When realization occurs, as illustrated by the screen image, then the statements that correspond to observable "fact" are now classified as "true." In the Greek language, there is another term that is often simply translated in our Bibles as "true." This type of "truth" has the same properties as the type that corresponds to "fact" but often refers to ideas, concepts and beliefs that may not be observable fact. They can be observable in part. Thus, the existence of this SSHD Structure satisfies the "model theoretic view" of what constitutes truth. Relative to foreknowledge statements, it is a fact that the symbol strings that begin with the "The" in the title of this section and end with the last period mark exist and satisfy the model theoretic requirements for each foreknowledge statement to be "true." This idea of "truth" is that each such statement corresponds to members of a set of entities and the rationally described processes correspond to relations between these entities. An absolute foreknowledge mechanism has not, as yet, been modeled materialistically. For absolute foreknowledge and relative to the actual life-path each of us is following, except for how mental descriptions correspond to the Bible, one might ask, "Is there physical proof that such models correspond to a "pre-reality" of some sort?" Absolute foreknowledge is exquisitely associated with the vast difference between the atemporal and the temporal. It is difficult for us to comprehend this difference since our very heartbeats are so closely related to a measurable time. There are certain experiences, however, that may correspond to our being presented with some evidence as to the prior existence of pre-designed aspects of a life-path. People have tried to explain it materialistically, of course. But, as far as I have been able to determine, none of these justifications seem to correspond exactly to what is reported nor is there observable physical evidence for the hypotheses employed. There are various paranormal explanations as well. From the very few times it has happened to me, I did not have a feeling that I had "seen something" before. I had a feeling that I had mental "knowledge" that the event is "somehow-or-other pre-designed" in some form prior to when it occurred to me. That is how I have experienced "déjà vu." This could be a purposeful slight delay that gave me and others knowledge that physical events that correspond to a present life-path have been pre-designed. However, as presented below, there is another rather fantastic model that satisfies this phenomenon as well as an absolute foreknowledge description. I have recently (2/22/2013) discovered the notion of "open theism" or, as some call it, "open futurism." As I understand this concept, this SSHD Structure differs from it. For the SSHD Structure, the "probabilities" that human behavior leads to certain outcomes is replaced with the fact that God has knowledge of all of these outcomes. They are mentally pre-designed by Him. In this sense, the knowledge that God's has of the future is "immutable." Recall that the basic GGU-model entities are equivalent to linguistic styled "words" or "commands." His word "is settled in heaven" (Psalms 119:89). Separating God's pre-designed thoughts from the realities they produce does not seem to be a component of open theism. I point out again that with the exception that God is Omnipresent, which satisfies a strict GGU-model description, Omniscience and Omnipotent have no possible truth value unless the quantifier "all" is restricted to a specific list of entities. Relative to foreknowledge, the SSHD Structure is somewhat similar, in one property, to the notion of "Non-Bivalent Omniscience" in that certain future contingents are neither true nor false. But, all do converge to a conclusion that will upon realization be fact. Prior to realization, all basic aspects of the *instruction-information model are relative to *meaningful *thoughts and mediums. For the SSHD Structure this has not changed with the exception that the "general" medium is more prominent. This general medium upholds, so to speak, *meaningful *thoughts. You might think of this as simply *mind "stuff." Notice that the SSHD Structure leads directly to the *instruction-information model relative to human behavior. For the GGU-model, all of the steps in the generation through and including the realization point are sequentially contained in one of the collections of pre-designed info-fields. The designer has complete knowledge as to the contents of each member of a collection of collections of info-fields. Any foreknowledge statements or predictions of future events will hold, when realized, for one or more of the collections of info-fields that depict physical events that yield specific life-paths. Also notice that an individual can be identified by the characteristic behavior that is being represented by a life-path. Of great significance to understanding such models and their relation to a highly significant feature of the New Testament is the actual meaning of a major Greek term. Recall the original meaning for the Greek word "logos." It began as denoting a "logical expression of a thought." The notion that it comprises "thoughts" and that the consequences of these thoughts yield material entities goes back to Heraclitus at about 500 B. C. Thus, as originally conceived, the basic concept of thoughts precedes the linguistic expression. Apparently, originally, such thoughts were what produced material entities. Of course, for us today this is beyond obvious. During the time prior to John, the term is enlarged to signify a complete logical expression of thoughts, a complete account. It is not to be considered as simply a grammatical collection of symbols. For its Biblical usage, in order to correspond to this well-know meaning during the first century A.D., the term needs to signify the complete creationary scenario that God intends to present - including a complete and fully detailed personal expression of Himself. This complete mental-like concept - the logos - exists and does not cease to exist, relative to our comprehension, before, during and after the thoughts are manifested. As was common prior to and during John's time, it can even carry the name of its main character - Jesus. Thus, such a logos leads to a step-by-step production of the "material universe" and has exceptional significance for human kind. In general, God's thoughts exist, in a sequence sense, prior to being manifested as physical entities. Entities are comprehended by listing their attributes whether they are displayed or not. This holds for Jesus' various manifestations. Now consider John's "In the beginning was the logos . . . ." Following this, John begins discussing certain major aspects of this logically presented complete mental expression. Then John tells us, in 1:14, that the major aspect becomes physically real. Thus, the "thoughts" concept is exceptionally significant when describing God's behavior. But how is this possible for the logos to be a designed and fixed final expression that is transformed into our physical reality? Of course, the above screen images can be recorded on a DVD and this DVD is the "final design"- a design that has been accorded any additional logos requirements via the mentioned parameters. But, does this yield a final pre-design that is then transformed via GGU-model processes into a physical reality? When I was about seven years old I had a thought. "What if all that physically exists is but in a giant's dream and if he awakes, we will all disappear?" Even at that tender age, I was not sure something like that might not be true. During my dreams I also made choices although they are usually poor ones. How it is mentally possible that I am allowed to make such choices while dreaming seems to me to be rather remarkable. Then there have been times when a dream is so vivid that upon waking I am not sure that I am not still dreaming. The Bible states many times that direct knowledge is gained from God via our dreams. Based upon "So God made man in His own image . . . . " (Genesis 2:27), one can conclude that the "dream concept" may be much more important than most of us realize. Especially, if one considers dreams as imaginations. There is a materialistic model for a final and fixed logos pre-design and absolute foreknowledge. But, I do not consider it as anything but an analogue model that merely shows that such a concept is scientifically rational. Such behavior might have very minor Biblical support. Nevertheless, at present, the alternative lack of knowledge model is still the most likely. What I describe next is only intended to show that absolute foreknowledge is a rational notion. There exists, within the GGU-model mathematics, "ultra-logic-systems" that rationally yield each of the possible participator universes. There is one that yields the exact one that occurs in physical reality. There is a electronic model for this although it requires a "pre-physical reality" to exist. For the above SSHD model, the mental intentions choice from a pre-designed segment of the SSHD does not yield physical reality but rather yields a "pre-physical reality." An infinitely powerful mind is trivially able to have His entire creation perform the necessary guided activities within His imagination, so to speak. This would yield a fixed expression, a fixed account. For the above illustration, this produces a fixed DVD composed of the exact *information needed for the first step in physical creation. That is, there is a pre-physical reality, a type of "dress rehearsal" so to speak. Actual reality occurs when the "curtain rises" on the first performance. This DVD represents the exact ultra-logic-system that yields this one pre-physical reality. This DVD is fully known sequentially prior to activation. Then this pre-physical reality is activated, via the usual GGU-model mechanisms, and our present physical universe is the step-by-step result. As usual all of the GGU-model mechanisms that yield physical reality are created during that "zero-length" time period that corresponds to the preparatory Genesis 1:2 statement. The Genesis account refers to this final logos account. Obviously, this final account is totally known to God and models absolute foreknowledge. Now and then, I wonder why specific passages are in the Bible. Of course, many have found reasons for them and have written extensive commentaries. But, there are also "shadows" of future events that are not explicitly described but only hinted at. It is curious that a few passages may, and I repeat may, hint at the pre-existence of a type of pre-physical reality. Is it possible that the following could be such a hint. "Is there anything whereof it may be said, See, this is new? it hath been of old time, which was before us." (Ecc. 1:10. KJV.) Does this simply mean that, from the writer's viewpoint, history repeats itself? I suppose that no other idea is intended. But, then again, is it possible that these famous statements in Ecclesiastes yield a hint that there is a pre-physical reality? Are there other Biblical verses that also hint at the possible existence of such a pre-physical reality so as to aid us in our acceptance of absolute foreknowledge? One can ask, what type of reality are we now exhibiting, the pre-physical reality or the physical-reality? If this very unlikely materialistic "speculation" corresponds, even in part to fact, then déjà vu would take on considerably more significance. Herrmann, R. A. 2002. Science Declares Our Universe IS Intelligently Designed, Xulon Press, Fairfax Va and other addresses. [1.5] (Added referemce) Herrmann, R. A. 1999. Information theory, consequence operators and the origin of life, Creation Research Society Quarterly, 36(3):123-132. [1c] Herrmann, R. A. Specific Information. Robinson, A. 1963. On languages which are based on non-standard arithmetic, Nagoya Math. J., 22:83-117. Additional details as to "Who is Jesus?" Eccles, J. and D. N. Robinson, 1984. The Wonders of Bring Human; Our Brain and Our Mind, The Free Press, NY.